These sturdy, self-contained print-apply systems combine a high-density thermal/thermal-transfer label printer with an automatic label applicator to simultaneously print and apply pressure-sensitive labels to the tops, bottoms or sides of products right along the conveyor line. 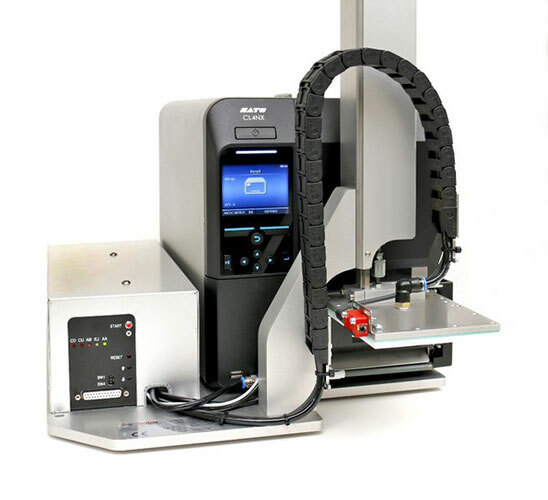 Weber makes a variety of label printer-applicators to fit every industry and application. We can customize a system to fit into your current production line or act as a stand-alone unit for manual feeding. 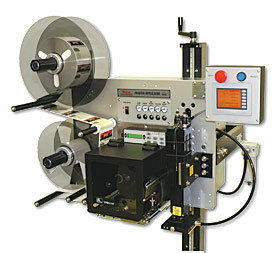 Our label printer-applicators are built to last and many models can be run 24/7/365. When you need a reliable labeling system, talk to Weber. Weber's Model 5300 print-apply system is redefining the meaning of versatility in heavy-duty, 24/7 pressure-sensitive label printing and application. Choose from a wide variety of application methods including tamp-blow, direct-tamp, air-blow and more. 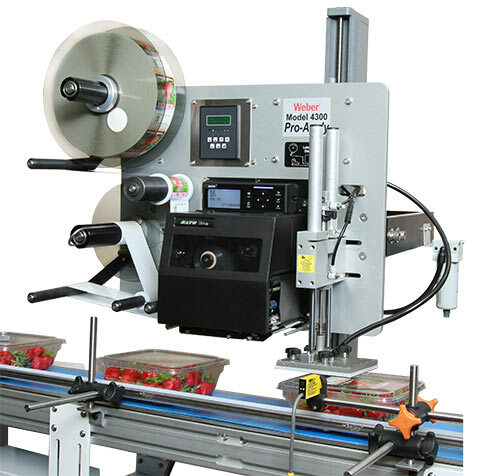 The cost-efficient Model 4300 Pro-Apply label printer-applicator features the functionality often limited to higher-duty printer-applicator equipment. The result is a versatile in-line system that combines high-quality label printing and reliable tamp-blow application that ensures fast, accurate pressure-sensitive labeling. 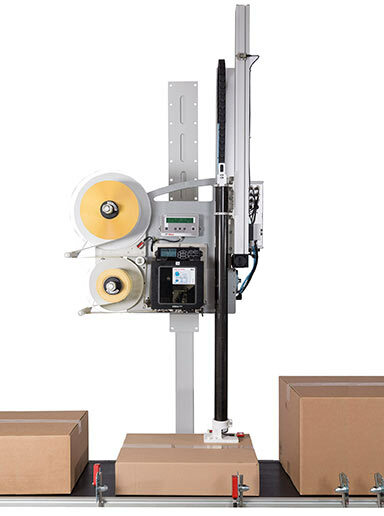 Weber's Model LA-6000 variable-height print-apply system is perfect for high-speed distribution centers that need reliable labeling on a wide range of carton sizes. The high-performance LA-6000 has a servo motor driven actuator made of carbon fiber that reduces weight and increases speed. 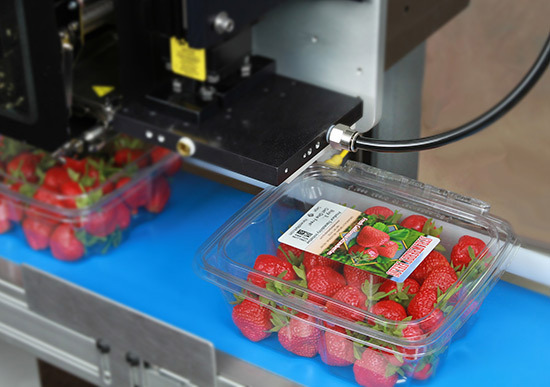 This system can label variable-height packages quickly and efficiently at up to 40 labels per minute depending on product handling and label size. Weber's LA-2050 label printer-applucator uses a Sato CL4NX label printer and a compact tamp-blow applicator to create a small yet powerful entry-level system. Itis perfect for small ecommerce fulfillment companies or anyone needing to automate their labeling for the first time. The LA-2050 can print and apply labels to various height packages so it works well for small ecommerce and distribution centers that ship different size packages.